Are you looking to enjoy your favourite band or musicians in VIP style? We have the answer with our fantastic concert hospitality packages at some of the finest venues in the country allowing you to see the world’s biggest artists. Eventmasters are delighted to provide concert hospitality packages for some of the biggest venues in the country including the Royal Albert Hall, O2 Arena, the Genting Arena and the Barclaycard Arena. 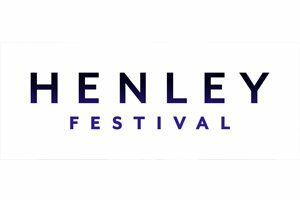 Alongside these concert venues we are delighted to offer hospitality at the Henley Festival in 2019, a highlight event of the summer. Whether you are entertaining your clients or booking personally, we are sure we have a concert hospitality package to fit your requirements. Eventmasters are delighted to provide VIP hospitality at a wide range of concerts throughout the UK in major venues. Over the years our guests have enjoyed hospitality in the very best facilties at The Royal Albert Hall, 02 Arena and Genting Arena to name a few. The Royal Albert Hall is one of the oldest and most historic concert venues in the world and is the perfect to place entertain your important clients in style. Since its opening in 1871 the Royal Albert Hall has been the UK’s leading arts venues, hosting everything from classical music to film premieres. Each summer since 1941 the London venue has hosted The Proms, which concludes with the world famous ‘Last Night of The Proms’. London’s O2 Arena is one of the most unique entertainment venues in the UK, hosting some of the world’s biggest acts. In 2000 the venue was the iconic Millennium Dome before being converted to an entertainment complex in 2007. Fans flock in their millions across the year to see their favourite artists, and the hospitality facilities on offer are amongst the best anywhere in the country.. The Genting Arena regularly plays host to the worlds most renowned musical stars in recent years the likes of Beyoncé and U2 have played to packed audiences. In 2016 guests can enjoy some more superb acts in VIP style with The Who and Jess Glynne set to appear at the Genting Arena. We are delighted to offer superb hospitality packages for the 2019 Henley Festival, this truly unique music festival takes place on the River Thames and regularly features the world’s biggest music artists. Treat your guests this summer to a day like no other with our exclusive Henley Festival hospitality packages and enjoy the very best musical performances. An ideal event for the music enthusiasts amongst you. Don’t miss out on your favourite shows with Eventmasters concert tickets and hospitality packages.